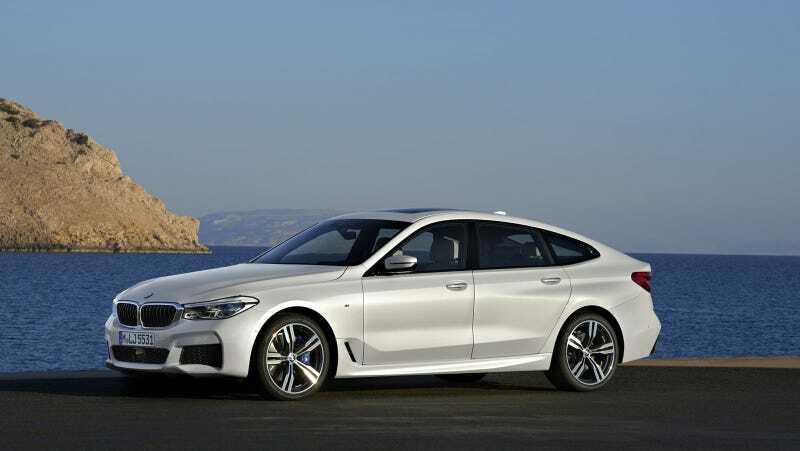 The BMW 640i xDrive Gran Turismo is the latest attempt at getting people to like the idea of a Gran Turismo body style. This is perhaps BMW’s best attempt yet, but it still doesn’t look quite right. Anyway, this new 6 Series will only be available in the U.S. with a 335 horsepower turbocharged 3.0-liter straight-six with 332 lb-ft of torque. BMW claims the car has a near-50/50 weight distribution and will get from zero to 60 mph in 5.1 seconds with a top speed of 130 mph. The 640i is also the first BMW available with Active Driving Assistance, including driver aides like adaptive cruise control, side-collision avoidance, and a semi-autonomous driving mode that the driver take their hands off the wheel for up to 50 seconds at a time in highway conditions. The car can also be optioned with a heads-up display and BMW’s weird gesture control capability. This weird twisted form will be shown off at the Frankfurt Motor Show this month and go on sale in the U.S. this fall, starting at $70,695 including the destination charge. Why change the name from 5 Series GT to 6 Series GT? Leave my beautiful 6 Series alone.